Marta scored two goals and added two assists as the Pride won big in Houston, 4-2 over the Dash, in front of 5,918 fans at BBVA Compass Stadium in Houston, Texas, as Carli Lloyd made her 2017 NWSL debut for the Dash. Camila opened the scoring for Orlando in the 16th minute, taking a pass from Marta about 35 yards from goal and and launched a right-footed rocket that beat Houston goalkeeper Lydia Williams to the upper 90. Lloyd, the two-time reigning FIFA World Player of the Year, started for the Dash and played 73 minutes in her return following her stint with Manchester City. Her best effort on goal came in the 21st minute, but her left-footed bending strike was thwarted by a strong save by Pride goalkeeper Aubrey Bledsoe. Marta’s first goal of the game came on the ensuing offensive effort for the Pride as the five-time FIFA World Player of the Year collected a loose ball, dribbled past two defenders and unleashed a left-footed strike to give Orlando a 2-0 lead just 22 minutes in. Marta’s second score came in the 57th minute as Jasmyne Spencer found the Brazilian striker in between two Dash defenders. Marta raced into the box and slotted a left-footed shot past Williams to make it 3-0. Marta’s second assist came in the 68th minute off a corner kick, which she bent in towards goal and right to the head of Alanna Kennedy, who headed it home from the top of the 6-yard box. 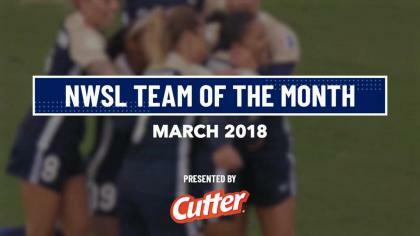 Marta moved in to a tie for the league-lead with five goals this season. She also has three assists. Houston added two late goals to deny Bledsoe, starting in place of the injured Ashlyn Harris, her second consecutive clean sheet. Poliana scored on a header off an assist from Andressa in the 89th minute and Nichelle Prince scored her first NWSL goal in the game’s final seconds off another assist from Andressa. The Dash fell to 2-7-0 with the loss while the Pride improved to 3-3-3 with their second straight win. Match ends, Houston Dash 2, Orlando Pride 4. Second Half ends, Houston Dash 2, Orlando Pride 4. Goal! Houston Dash 2, Orlando Pride 4. Nichelle Prince (Houston Dash) right footed shot from the centre of the box to the bottom left corner. Assisted by Andressinha with a through ball. Attempt missed. Amber Brooks (Houston Dash) right footed shot from the centre of the box is high and wide to the right. Assisted by Nichelle Prince. Goal! Houston Dash 1, Orlando Pride 4. Poliana (Houston Dash) header from the centre of the box to the bottom left corner. Assisted by Andressinha following a set piece situation. Attempt saved. Chioma Ubogagu (Orlando Pride) left footed shot from outside the box is saved in the bottom left corner. Assisted by Alanna Kennedy. Attempt saved. Chioma Ubogagu (Orlando Pride) right footed shot from the centre of the box is saved in the bottom right corner. Assisted by Jamia Fields. Attempt saved. Toni Pressley (Orlando Pride) left footed shot from outside the box is saved in the bottom left corner. Substitution, Orlando Pride. Jamia Fields replaces Marta. Attempt blocked. Nichelle Prince (Houston Dash) left footed shot from outside the box is blocked. Assisted by Janine Beckie. Substitution, Houston Dash. Nichelle Prince replaces Carli Lloyd. Rachel Hill (Orlando Pride) wins a free kick on the left wing. Substitution, Orlando Pride. Chioma Ubogagu replaces Camila. Goal! Houston Dash 0, Orlando Pride 4. Alanna Kennedy (Orlando Pride) header from very close range to the bottom left corner. Assisted by Marta with a cross following a corner. Camila (Orlando Pride) is shown the yellow card. Attempt missed. Kealia Ohai (Houston Dash) right footed shot from outside the box is close, but misses to the right. Assisted by Carli Lloyd. Goal! Houston Dash 0, Orlando Pride 3. Marta (Orlando Pride) left footed shot from the centre of the box to the bottom right corner. Assisted by Jasmyne Spencer. Substitution, Houston Dash. Andressinha replaces Rachel Daly. Attempt missed. Rachel Daly (Houston Dash) right footed shot from outside the box misses to the right. Assisted by Camille Levin. Attempt missed. Carli Lloyd (Houston Dash) left footed shot from outside the box misses to the right. Assisted by Kealia Ohai. Second Half begins Houston Dash 0, Orlando Pride 2. First Half ends, Houston Dash 0, Orlando Pride 2. Attempt saved. Poliana (Houston Dash) right footed shot from the right side of the six yard box is saved in the bottom right corner. Assisted by Janine Beckie with a cross. Attempt saved. Poliana (Houston Dash) header from the centre of the box is saved in the bottom right corner. Assisted by Amber Brooks. Corner, Orlando Pride. Conceded by Camille Levin. Mônica (Orlando Pride) wins a free kick on the left wing. Goal! Houston Dash 0, Orlando Pride 2. Marta (Orlando Pride) left footed shot from the left side of the box to the bottom right corner. Attempt saved. Carli Lloyd (Houston Dash) left footed shot from the left side of the box is saved in the bottom right corner. Assisted by Camille Levin. Attempt missed. Rachel Daly (Houston Dash) right footed shot from the right side of the box misses to the right. Goal! Houston Dash 0, Orlando Pride 1. Camila (Orlando Pride) right footed shot from outside the box to the top right corner. Assisted by Marta. Attempt missed. 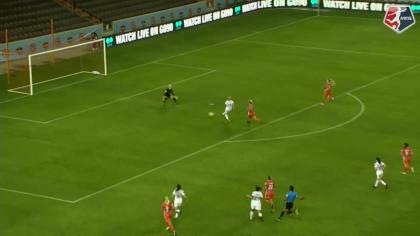 Kealia Ohai (Houston Dash) right footed shot from the left side of the box is close, but misses the top right corner. Assisted by Janine Beckie. Attempt blocked. Morgan Brian (Houston Dash) right footed shot from the centre of the box is blocked.